This paper by Fr. David Curry was delivered at the 2010 Atlantic Theological Conference and recently published in the Conference Report. The opening paragraphs (footnotes omitted) are posted below; the complete paper can be downloaded as a pdf document by clicking here. The retrospective viewpoint is a common feature of Canadian literature. It is complemented by another viewpoint, the introspective viewpoint, that is to say, looking inward. The interplay of retrospection and introspection provides the narrative framework for certain novels, for instance the Manawaka novels of Margaret Laurence. Whether you are like Hagar in The Stone Angel, a ninety year old lady, looking back on her life and discovering the ways in which she has been doubly blind, both blind to herself and to others, realizing in a wonderful phrase that “pride was my wilderness,” or like Morag Gunn in The Diviners, divining an understanding of oneself through the activity of writing, the engagement with the past is altogether crucial for an understanding of identity. Indeed, the failure to come to terms with one’s past is destructive of identity. That recovery of the past, however, is actually a creative activity, for in remembering we re-appropriate the things that belong to our identity. The challenge is to have a free and honest relation to the past. Some of you may know the story about Fr. Crouse in the early 60s, responding to a Bishop who was complaining about ‘the new theology’ that was beginning to infect seminaries and theological colleges. “No, Bishop,” he is said to have replied, “not new theology, no theology.” And now, we might ask, what would he say? Well, after a meeting of the Primate’s Theological Commission several years ago, his response was “not much theology.” But that’s progress. There is, it seems, at least some theology! In a way, we are witnessing the rebirth of a more principled theological understanding. In and through what some might see as the unravelling of the Anglican Communion, there is, perhaps, the beginning of its being knit together. There is, to my mind, at least, a kind of providential miracle in the recovery of the Anglican mind. There has never been so much discussion and attention paid to the foundational documents of the Anglican way in the contemporary world as there has been in the last several decades and from most, if not, all sides of the theological spectrum. The very things which some, if not many, in the various echelons of ecclesiastical power have been quick to dismiss, have come back into prominence or at least into some kind of notice; such things as the Thirty-Nine Articles, the Ordinal and the Book of Common Prayer, and not merely among some group of eccentric antiquaries, like the “Cranmer Club” in P.D. James’ extraordinarily perceptive, if not prophetic, novel, The Children of Men. The theological underpinnings of such things is to be found in what Dr. Ingalls has outlined in his paper and which I am tasked to continue in terms of seventeenth century English Theology. An impossible task, I merely hope to point out what I think are some salient features of the theology of the seventeenth and early eighteenth centuries that bear upon the questions of essential doctrine and matters indifferent or, to use the Melancthon’s term, adiaphora, which weaves in and out of the period almost like the ghost of Hamlet’s father. Far from being a retreat into some nostalgic and romantic Anglican past, all that I wish to suggest is what Stephen Hampton has pointed out in his Anti-Arminians, The Anglican Reformed Tradition from Charles II to George I, namely, that “the Reformed theological tradition is an essential ingredient in any conception of Anglicanism.” Our interest will be to identify what is meant by reformed here. Our concern will be to negotiate the currents of the theological debates of the period which, in some sense, are perennial. In our context, the theological concern is with the Reformed response in the English Church to two intertwined movements, the one dealing with the doctrine of salvation; the other, we might say, with the doctrine of God as it bears upon the defining principle of Christian Faith, the doctrine of the Trinity. The two movements, intra and inter–ecclesial in their scope, are Arminianism and Socinianism. The burden of my paper is to suggest that the English Reformed Tradition, through its focus on the Creeds and the Liturgy as the devotional expression of Scriptural and Creedal doctrine, counters and, dare I say, contains, these divergent, and often overtly heterodox outlooks, and plays an important role in upholding the essential Catholicism of what has commonly been called Anglicanism. Such observations might be allowed to have some bearing upon our present confusions and uncertainties. My argument, in brief, is that the Reformed theological tradition argues strongly for the essential Catholicism of the English Church as a full and integral part of the Church Universal, precisely through its insistence on thinking with the metaphysical traditions of the Patristic and Medieval periods at the same time as engaging with the new epistemological developments of early modernity, some of which were altogether dismissive of the forms of thinking from the past. How the questions about grace and free will, on the one hand, and about the Trinity, on the other hand, were dealt with sheds light upon the understanding of matters essential and matters indifferent for the reformed Catholicism of the English Church. O loving God, who didst call thy servant Aidan from the Peace of a cloister to re-establish the Christian mission in northern England, and didst endow him with gentleness, simplicity, and strength: Grant, we beseech thee, that we, following his example, may use what thou hast given us for the relief of human need, and may persevere in commending the saving Gospel of our Redeemer Jesus Christ; who liveth and reigneth with thee and the Holy Ghost, one God, for ever and ever. Amen. 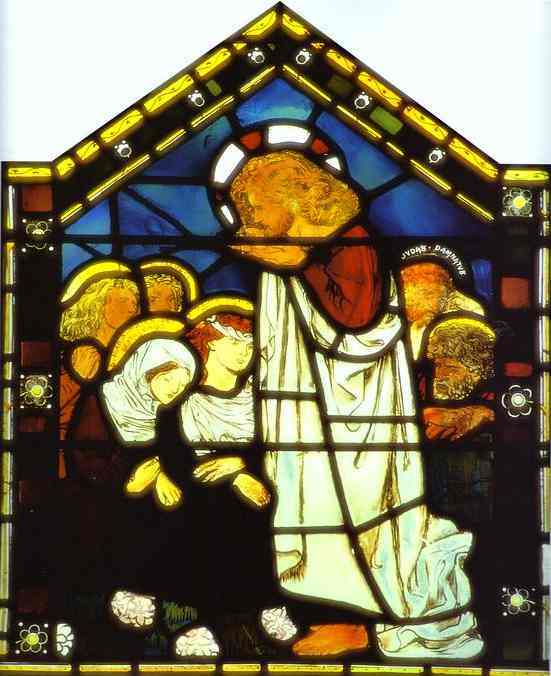 The Saint Aidan stained glass was made by the firm of C.E. 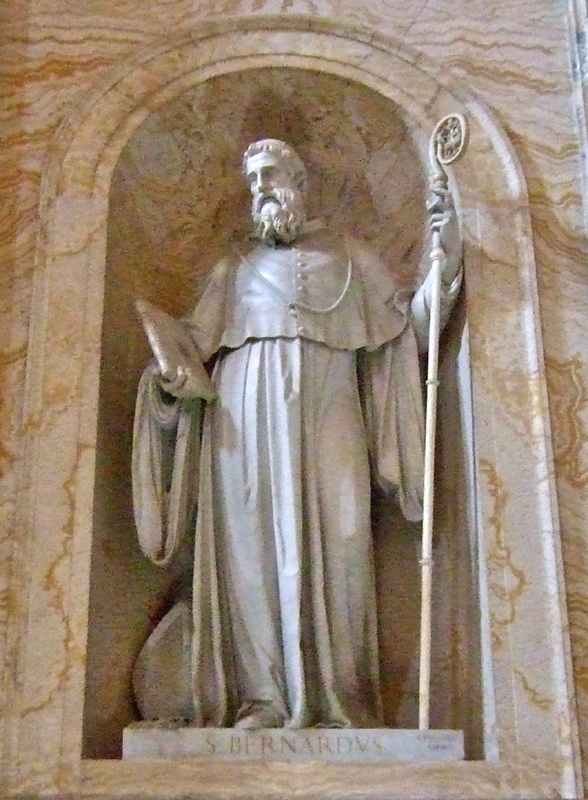 Kempe of London and installed in the Cathedral of St John the Baptist, St John’s, Newfoundland, in 1913. Photo taken by admin, 7 September 2009. 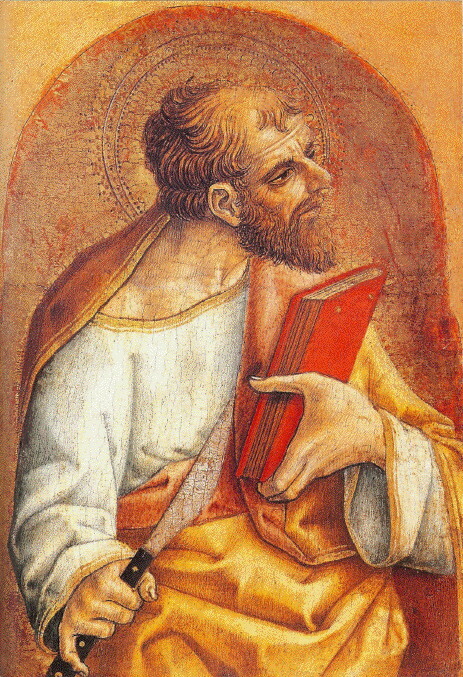 O God, who didst send thy messenger, John the Baptist, to be the forerunner of the Lord, and to glorify thee by his death: Grant that we, who have received the truth of thy most holy Gospel, may bear our witness thereunto, and after his example constantly speak the truth, boldly rebuke vice, and patiently suffer for the truth’s sake; through Jesus Christ our Lord. Amen. 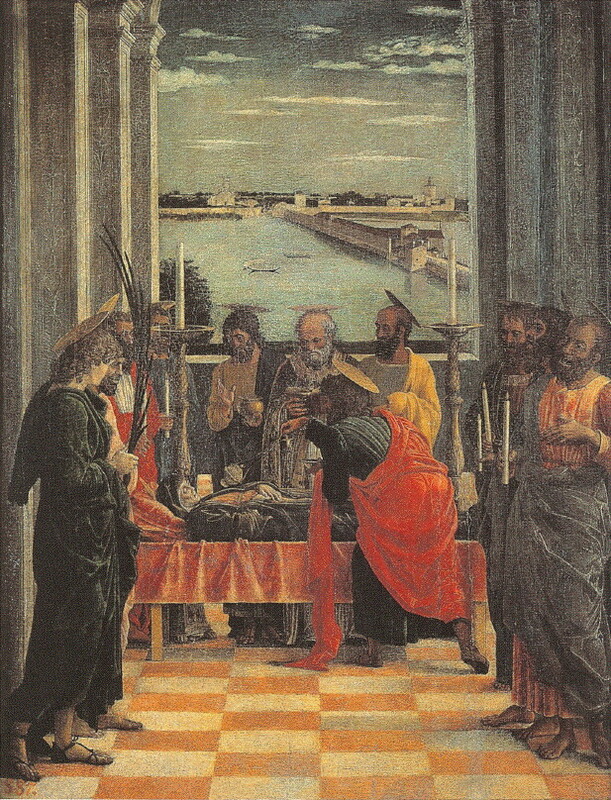 Artwork: Vincenzo Danti, Beheading of Saint John the Baptist, 1569-70. 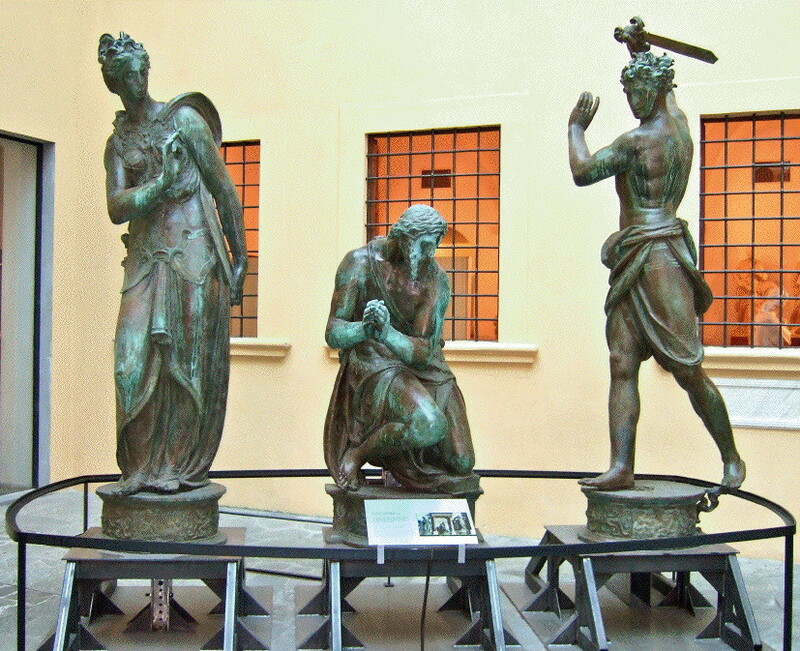 Bronze, Museo dell’Opera del Duomo, Florence. Photograph taken by admin, 14 May 2010. LET thy merciful ears, O Lord, be open to the prayers of thy humble servants; and that they may obtain their petitions make them to ask such things as shall please thee; through Jesus Christ our Lord. Amen. Artwork: J.M.W. 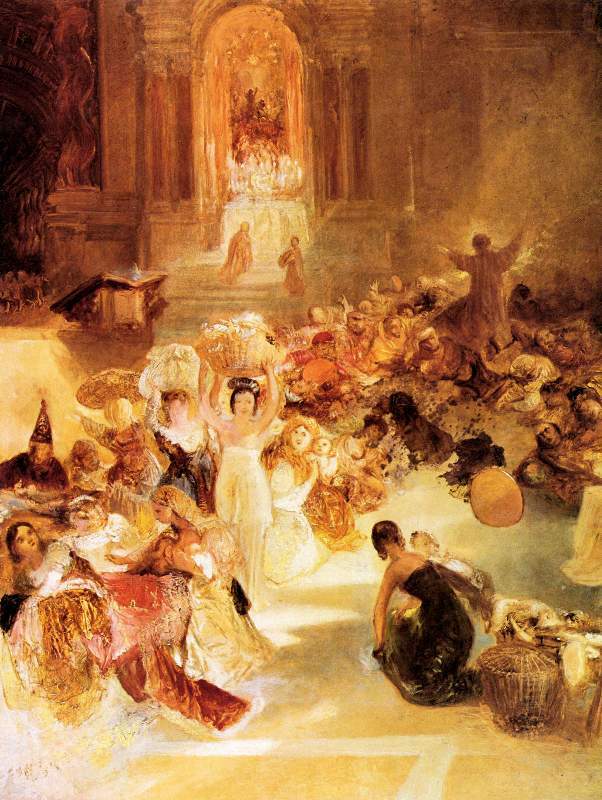 Turner, Christ Driving the Traders from the Temple, c. 1832. Oil on mahogany, Tate Collections, London. Click here to read more about St. Bartholomew. Artwork: Carlo Crivelli, Saint Bartholomew, 1472. Civiche Raccolte d’Arte Antica, Castello Sforzesco, Milan. Artwork: Saint Bernard, 19th century. Basilica of Saint Paul Outside the Walls, Rome. Photograph taken by admin, 29 April 2010. Artwork: Mantegna, Death of the Virgin, 1460-64. Tempera on board, Prado, Madrid. O God, whose never-failing providence ordereth all things both in heaven and earth: We humbly beseech thee to put away from us all hurtful things, and to give us those things which be profitable for us; through Jesus Christ our Lord. Amen. Artwork: Dante Gabriel Rossetti, The Sermon on the Mount, 1862. Stained glass, All Saints Church, Selsley, Gloucestershire. 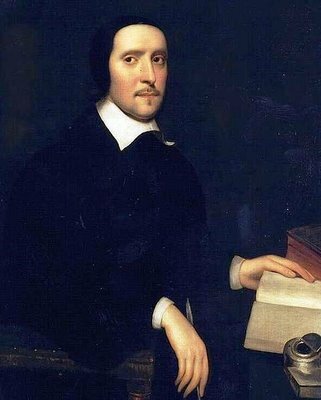 Read more about Jeremy Taylor here.